In Hackbright Academy’s immersive and rigorous 12-week software engineering fellowship, students built impressive web apps in just 4 weeks! Get ready to be inspired by these amazing women and their creations ranging from trip planning to ride sharing apps that showcase their unique personalities. Abigail’s transition to tech was initiated by her love for saucy wings. A chat conversation with a manager at Yelp Eat 24 after she didn’t get buffalo sauce for her wings [big problem] led to a job at Eat24. While working in customer service, she developed a knack for listening and conflict resolution, but she wanted more. 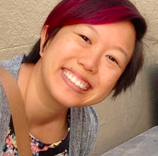 She became curious about software programs after logging bugs for engineers at Eat24 and decided to come to Hackbright to learn how to do it herself. She’s excited to shift from problem-solving customer service situations to problem-solving her work as a coder. Pawst&Found is a rescue dog app where you can search for a dog by location or breed. It features information about the breeds that need your help the most and where to find them. Users can register with the app and have a profile page where they can store their favorite dogs. Search results include information about the dog and the contact information of the shelter where they are located. Akanksha Nayak graduated from Columbia University with a Master’s degree in Biotechnology. She has previously worked as a regulatory medical writer. As a medical writer, she enjoyed constantly reading and learning about new things and using them in her line of work. 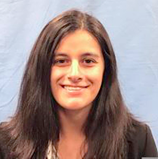 After moving to the Bay area recently and being surrounded by engineers, she was intrigued by the possibilities opened up by software development. While trying to learn programming on her own, she realized that she really enjoyed the challenge offered by problem solving in programming. She looks forward to graduating from the software development fellowship at Hackbright and pursuing a career as a Full-Stack developer. Travelogue is an app that allows users to discover destinations for their next vacation. All they have to do is enter their origin city, desired budget and range of dates for travel. Once the Google flights API has all the information, the user can see a number of destinations that they can go to based on their search criteria. The user can select a destination to see the flight details for that destination. If they like a particular flight, they can book it through Kayak’s booking portal. Users can also favorite their searched trips for later viewing. Brianne graduated with a B.S. in Business Administration with a concentration in management and applied those skills on the customer service team of a small, well established specialty food manufacturer. Over the years, Brianne morphed her role there to encompass more project management responsibilities and fell in love with the problem solving that came with it. As time went on, though, she started looking for more challenging puzzles. She enrolled in the intro course at Hackbright, fell in love with it, and decided it was the change she needed. Brianne is looking forward to building her full-stack skills and flexing her problem solving muscles upon completion of the fellowship program. HikeFinder is designed to be a central place for the local hiker to find a list of trails and any available amenities within a designated search area, versus visiting multiple websites for information. The app allows users to enter the desired starting point and an optional search radius to see what hiking trails are available and where they are on a map. More information about specific trails is available by selecting the trail name from the list which navigates them to a separate information page that will show any description, trail map information or photos that are available. Registering for the site opens up the option of rating a trail or adding it to their favorites list for future adventures. A great resource for an avid hiker! Camila has explored many directions in life. She completed an AAS in Chemistry and worked for a local water treatment company, rising quickly to a management position. She moved on to au pairing in the US and Germany before returning home to Brazil and getting a job with a coffee conglomerate. She developed skills in management while working with people from small country coffee growers to CEO’s of multinational companies. 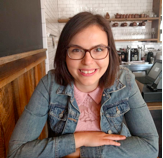 She started learning code online and found one thing capable of keeping her engaged and excited, the problem-solving, puzzle logic side of software engineering. 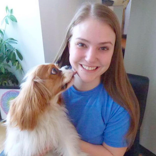 Outside of Hackbright, Camila volunteers for Muttville, saving senior dogs through finding them new homes. CodeAcademy Python, HTML and CSS courses. Barkbook is a place for pets to find new homes without having to go through rescues and shelters. This means significantly less chance of euthanasia and much shorter gaps between loving families. Current pet owners who need to find a new home can put their furry friends up on the site and prospective pet owners can see available pets and express interest in them. Not only does this give the pets a better re-homing experience, but after adoption the previous owners have a direct line of contact with the new family. Barkbook is an ongoing project, with the intent of making it a website completely focused in solutions for pets, and a space for pet owners and pet services to connect for multiple needs, going further than only adoption. Connie is currently a student at Hackbright Academy learning computer programming. She has a background in biotechnology with a BS in Biology from UCLA and an MS in Biomedical Sciences from SFSU. She transitioned to the software industry when an opportunity emerged to work in software as a service (SaaS) at Hewlett Packard Enterprise. She realized you can touch more products and troubleshoot more quickly than could ever be done in a lifetime of lab work. She loves the analytical aspects of biotech and the troubleshooting involved in software and plans to combine those with her new skills in programming. When not coding, you’ll find Connie playing ukulele, painting murals, or raising chickens in her backyard. Chord Storm is a site intended for beginner guitar and ukulele players who may find it hard to find songs to play at their current skill level. Users can search for songs based on chords they are familiar with. If no results are found, Chord Storm will suggest songs based on commonly used chords and songs with no more than 3 chords. Each song page displays lyrics, chords, and YouTube tutorials for the specific song. Users can login and save their favorite songs to find them again easily. Danielle is a full-stack software engineer with an MBA in Finance and a passion for innovation and transparency. She has always cared deeply about removing barriers to entry and allowing everyone access to the tools to play the game. With a necessity to create impactful solutions on a small budget, Danielle taught herself IT processes and HTML/CSS early on in her career. Before Hackbright, Danielle was in London working with a fintech connecting large corporate bond issuers with investment banks worldwide, transforming the way corporate bonds are issued. The combination of finance and engineering means security is a hot topic for Danielle, and as a developer, she is excited to contribute to security solutions. Fintech Academy Africa: Subject matter included the role of regulation in FinTech, risk frameworks, risk functions, blockchain based smart contracts and blockchain open standards and consortiums. Princeton’s Bitcoin and Cryptocurrency Technologies course via Coursea Designed wireframes and managed two complete site overhauls. She has also completed a Python track via Codeacademy and Treehouse. Whalz is an app that facilitates craft beer trading. It provides real-time brewery releases, inventory and wish-list tracking, beer trading and data visualization tools. Kate has a BS in Computer Science and a great motivation to be a great programmer. She has 7 years experience as an IT consultant and business analyst. During her work as a consultant, she couldn’t help but wonder, why is there always such a big gap between ideas and implementation? In her search for an answer, she became a Web Marketing Manager and spent two years supervising UI developers and designers. During this work, she realized that she wanted to express her own creativity through code. After moving to the US a few years ago, she started to take online courses to move forward as a software engineer. Most recent tech experience includes participation in boot camp programs, online courses, and self-study. Full stack technologies: Python, Flask, SQL (TSQL, PostgreSQL, ActiveRecords, SQLAlchemy), HTML/CSS/Bootstrap, JS (jQuery, AJAX), Unit testing, Exposure to Ruby, Ruby on Rails. Fields of tech interests: Data analysis, Statistical learning with application in R and Python, OO design and data modeling, Algorithms. The game model tracks users lives, scores, and time to complete a game. It also allows the user to save the game and continue playing later. Project Arkanoid allows users to register to be included by name in the leaderboard, as well as track their individual statistics and use the saved game functionality. Project Arkanoid can be played on any devices by just following the URL. Grace graduated from UC Berkeley with a degree in Molecular and Cell Biology and got her pharmacy technician license afterwards. In addition to working in pharmacy, she has taught classes and tutored test prep including a lot of math. 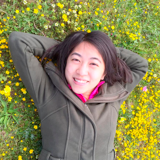 She has studied programming in various languages on her own before attending Hackbright. Whether she’s synthesizing molecules, solving math problems, or coding an app, she enjoys the math, building, and puzzles involved and believes that will fit in well with her new career path. She also enjoys learning new things and branching out. She’s interested in further development with continuing education including potential formal education, learning other programming languages, and learning mobile development. Grace has experience with Python and has studied some basic HTML, CSS, Java, and Ruby. She has also used a variety of computer programs including pharmacy software and online tutoring software. She has done a little of everything while self-studying coding including taking online courses, reading books, reading online documentation, and watching videos before solidifying her skills at Hackbright. Students can add modules and functions along with additional notes and sample code they learn as data entries to a PostgreSQL database. The information will display as an interactive table of all their modules with associated functions. The quiz game will then use information from the database to randomly generate questions for the student to answer. As the student answers questions correctly, they can make progress and level up, giving them a sense of achievement and how far they’ve come. Jasmine graduated with a BS degree in Business Administration. 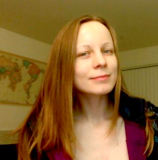 Before joining Hackbright, she worked in procurement. She also has a background in accounting, and learned Excel over the years. At one of her previous employers, she created a formulated spreadsheet to make the billing process more efficient. There was nothing more satisfying than filling a spreadsheet full of formulas! She was ready for a challenge so she decided to learn how to code. 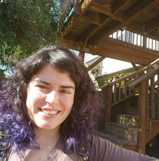 During her time at Hackbright, she developed a passion for programming. She looks forward to pursuing a career as a full-stack software engineer and plans to continue building her skills. Prior to the fellowship, Jasmine took coding courses on Codecademy and completed Hackbright’s part-time prep course. She also has previously worked at an IT staffing agency as an Associate Technical Recruiter. Need a job you can ride BART to? This app can help you search for a job within walking distance (~15 mins) to a station in San Francisco. Users can search by job title, and filter by destination and days posted. The app will return a list of jobs from Indeed as well as the closest BART station and estimated walking time. If available, the Glassdoor rating for the company is provided. If a starting point is selected, the fare amount is calculated using the BART API. If logged in, the user can save a list of jobs they are interested in. The Google Map on the results page will generate markers for all the companies on the current page. If the user clicks on a company’s marker, the map will show the walking directions from the station. Prior to joining Hackbright, Jennifer earned two MA degrees in the social sciences, learning to look at the world in terms of its social problems and solutions. 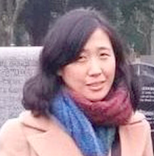 After graduate school, she applied her knowledge and skills to the tech and education sectors. She worked at a start-up, learning how to deal with problems of incorporating emotions into AI. For a consulting group, she supported students in their work of applying to colleges. After these jobs, Jennifer desired to apply her problem-solving abilities and commitment to positive results toward the tech sector and began learning code. She desires to become a full-stack engineer in the Bay Area, contributing to the work of bringing to life solutions to pressing problems. 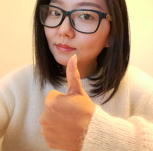 Jennifer has experience with self-study using Coursera and Codecademy courses, and participation in Free Code Camp meetup events with the Rithm School in San Francisco. She also completed the Part-time Prep Course offered by Hackbright Academy. Artsy Trips takes the user to a gallery of artwork, found with the Artsy API. Upon choosing one, the user is given an itinerary, including a museum in the San Francisco area and an eatery within a 25 mile radius of the museum, using the Yelp API. A map is given, using the Google Maps API, with the museum and eatery locations and the user’s location; directions can also be given between different endpoints. All trips are saved in the database, are listed on the user’s profile page, and can be favorited. On the profile page, a radar chart is also given, using Chart.js, plotting the number of times art genres has been favorited, compared to how many times they have been favorited by all users. 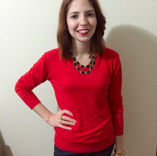 After studying computer science and psychology, Meghan worked as a quality assurance and operations analyst for various tech companies before joining Hackbright. 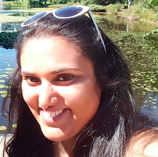 She has enjoyed applying her knowledge of cognition, neuroscience and personality psychology in QA and compliance testing, providing user experience insights and leading coaching initiatives to both technical and non-technical audiences. Meghan looks forward to a more challenging career in back-end software engineering. Meghan is also interested in privacy and network security, artificial intelligence and the Internet of Things. In her free time, she enjoys playing volleyball, scuba diving and finding the best burger in San Francisco. Meghan’s tech career began in black box and regression testing before joining Nokia and Microsoft, where she organized product knowledge training for internal employees of various technical abilities. More recently, Meghan has worked as a compliance and tech operations analyst for Google and Facebook. Carbon Tax Me visualizes monthly temperature averages dating back to 1850 using a Berkeley Earth dataset containing over 130 million entries. CTM 2.0 will feature each month, a visual navigation slider and other toggled overlays such as atmospheric carbon dioxide, sea ice concentrations, air and water quality indexes, and machine learning based planet health predictions. Our planet’s desertification is far costlier than the necessary investment to transition into a greener society, one less affected by human constraints on naturally occurring climate cycles. A carbon tax would generate energy conservation awareness and resource management, promote accountability and adaption and produce enough revenue to fund green technology. Prior to devoting herself full-time to Hackbright, Nura had a career in nonprofit development. She was focused on working on storytelling for social change, through creating email campaigns in HTML and CSS, managing events, and fundraising. Nura’s introduction to programming began by working with a web developer and taking classes with Girl Develop It. Nura enjoys problem-solving and creating practical products that she herself can envision using. She looks forward to continuing to be a life long learner and to continuing to solve problems for other interesting companies that speak to her. Seater is a dynamic seating app for any type of event. Given a group of attendees with different types of relationship between them, it uses a sophisticated algorithm to seat your guests instantly while taking those relationships into account. 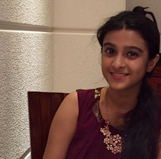 Prior to coming to Hackbright, Priyanka worked in a content marketing and project management role at Franklin Templeton Investments, a mutual fund investment management company. Before that, she worked at an early stage start up, Culture Kitchen, where she gained experience with email & content marketing, user experience testing, and event management. She came to Hackbright looking for a new challenge and to transition into a career path that encourages constant exploration and continued learning. She is excited to combine her marketing background with her programming skill set to find a challenging and fulfilling role in the tech world. Priyanka first got interested in programming after managing several website redesign projects for her organization’s blog. She worked with HTML and CSS regularly when publishing blog content on WordPress and designing and managing email campaigns in ExactTarget. She started learning to code using Codecademy, How to Think Like a Computer Scientist, and Code Abbey coding challenges. She also completed Hackbright’s 8-week part-time intro course prior to joining the full-time program. 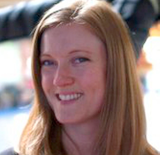 Prior to Hackbright, Robyn co-founded an E-commerce company that specialized in curating and selling craft foods and beverages. She discovered that she thoroughly enjoyed building and creating things from the ground up, but was not as interested in the logistics side of business ownership. After experiencing the limitations of computer programs designed by others, she became curious about creating her own programs to eliminate externally imposed limits. 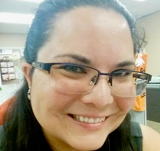 She also previously worked for the Social Security Administration (SSA) as a claims specialist for seven years where she was a leader in fraud detection. Robyn looks forward to applying her love of building and creative problem solving to a career in the world of programming. Robyn became interested in expanding her technical skills after gaining exposure to HTML, CSS, Bootstrap, and Python through Code Academy and Free Code Camp. She previously designed her company’s website using Shopify and learned how to analyze site traffic using Google Analytics and Lucky Orange heat map technology. 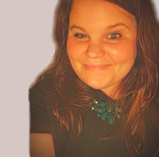 Robyn also has experience designing and analyzing social media ads and using Google AdWords. Hangry is an aggregator that collects and displays food delivery options and restaurant menus from EatStreet with photos and reviews from Yelp to reduce the amount of app switching the user must do to order delivery. Hangry displays a chart of the top 5 most common restaurant types in the user’s delivery area on the user profile page. From the profile page, the user can search for a food type or specific restaurant. The search results page shows a list of restaurants that match the search term along with each restaurant’s Yelp rating. For more info on each restaurant the user can click on the restaurant name or menu button. Restaurant and menu info are dynamic and can display on search results page without re-loading by using AJAX. Small Business Assistant is a multi-tenant web application that helps small business owners to record their business activities and analyze business performance. Multiple users use the same instance of this application and only see their own data. This app contains three main parts: maintaining product catalog, transactions batch upload, and analysis reports. In her previous life before Hackbright, Stacee worked as a marketing manager at a startup, Hello.is where she was brought on to launch and manage the Hello blog. At Hello she had the opportunity to wear many hats and work on everything from consumer and market research, to product video shoots. Prior to Hello she worked as a content manager at another startup, Lovely where she managed three blogs (Rent.com, ApartmentGuide, and Lovely), external marketing partnerships, and the redesign of the Rent blog. 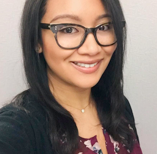 While she enjoyed working in the content marketing world, her experience in startup environments—especially working on projects implementing new applications, fueled her interest in the tech world and inspired her to learn how to program. Throughout her career, Stacee worked with HTML and CSS on CMS and email marketing automation platforms. She served as project manager to implement a complete redesign and relaunch of the Rent.com blog, and worked closely with developers, optimizing for mobile traffic, improved user experience, and social sharing. She also worked closely with the Lovely SEO team and an external digital agency to design and build out local city guide content pages to execute on an SEO initiative for Rent.com. In a world of chaotic 24-hour news cycles where misinformation is a trending topic itself, why limit your sources? News Dashboard provides a customizable news aggregator for consumers who want to stay informed on politics, business, science, tech, pop culture, etc. News Dashboard is a ask web application that displays live news from newsapi.org. Users can select from a list of over 20 sources and view current, top news stories. Don’t miss out—past articles are still accessible on an archive page that leverages articles stored in a Postgres database and displays old news for a customized time range. Coming soon: data visualizations and news analysis that identifies trends and bias across news sources. 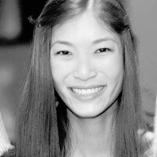 Suzanne is a Hackbright fellow working to become full stack software engineer. Previously, she worked in office administration at several different companies, ensuring that day to day operations ran smoothly for the team. However with two design degrees, she was looking for a career that was more creatively challenging; she found that in software development. She is looking to join a company that supports the maker/creative community to take advantage of both her creative and engineering skills. Thanks to the interactive and responsive design of her Hackbright project she found her passion for frontend engineering. Prior to hackbright Suzanne created several portfolio websites and worked for a small education start up managing their CRM and operations with AutoPilot. In the past year she has done several on-line courses on coding. A Crafty Bot is a chatbot built to help visual people complete projects on time by enabling them to manage projects with photos rather than text based task lists. The bot is built on top of Facebook Messenger. Users switch back and forth between chat and a web app to start, share, and update projects. 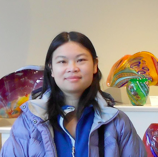 Tien “Mimi” Nguyen is a software engineer with a strong creative writing background and a love for solving puzzles. After graduating with a master’s from Northwestern University, Mimi produced and hosted a live monthly storytelling show called Story Club. She also worked as an office manager and later as a nanny, but none of these occupations fulfilled Mimi’s need for a challenge. In her spare time, Mimi began to gravitate towards computer programming. She devoured several courses on CodeAcademy, completed a two-week course with AppAcademy and became Hackbright fellow. Mimi is incredibly excited to use her creative writing, problem solving skills and software engineering to create technology that will help people’s lives. Convo is primarily a question and answer site that encourages productive conversations with social, political, and cultural relevance. Users can submit questions and answers, up vote questions and answers, search keywords, and investigate trending words. As a community, the users on Convo engage with each other to learn different perspectives, share a space of mutual betterment, and recognize the strength in understanding. Are you ready to get started with your career in tech? Enroll in our 12-week immersive program and Hackbright Prep Part-Time. Deadline is 8/4!.